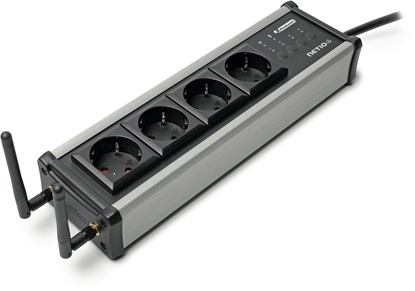 This Bluetooth device is essentially a 4-fold power strip for wireless software control of equipment connected to one of the four independent electrical sockets, i.e., turning pumps, valves, stirrers etc. on and off from a distance. 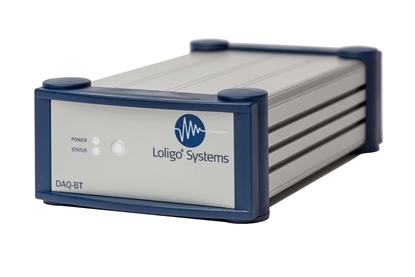 The DAQ-BT instrument is used for wireless data acquisition and automated control of Loligo® swim tunnels in combination with AutoResp™ software. The wireless Bluetooth 2.1 communication means that the PC can be placed at a distance from the swim tunnel without data cables that can pick up noise in a lab environment. Apart from the inputs and outputs needed for controlling the swim tunnel motor (RPM) and acquiring data from it, the DAQ-BT instrument has extra channels for analog data acquisition and TLL control of other devices. 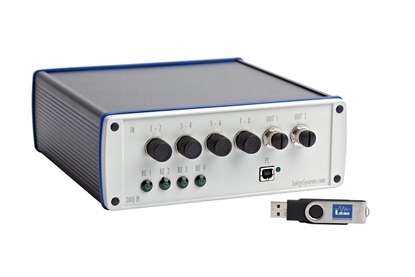 The DAQ-M instrument is used for data acquisition and relay controlling in combination with Loligo software.